I present to you the new Crowdfunding Collection #95, including every tabletop project started between 01/27 and 02/03. These collection seen the start of more then 60 crowdfunding projects in the span of a week, with at least 20 of them over their works in the form of a magazine. Which made the selection for the shout-out ones tough, I went for mostly those I starred. I noticed Reach of Titan because I consider the idea to focus on fights against colossal creatures, and the challenge to survive in a world in which those roam, quite interesting. Cat cat CAT cat CAT CATS & CATS catcat, cat c2t caty cat (So funny I laughed hard and I backed it). Then there is POWERED by the DREAMR, which is a PbtA game about fighting within dreams. I like the idea, I trust the creator and thus I backed it. I didn’t back The Isles, though I find the idea to revieve a „Play by Post“ style of rpg that uses real live mail. There are plenty games that fit within a magazine, like, DREAMR, and I consider Reunification, DEAD HALT and Exodus the most interesting, yet there are so many, that you should check them all..
Next to this I think Journey to the Year 3000 to do a CYOA audiobook is cool. I did actuall back the More Kittens supplement because of… kittens and kitten cards and because Laser Kittens turned out great. I did star the magazine supplements D.I.R.G.E because it sounds interesting to discuss LGBTQ+ topics and I starred Strings because it addresses death. I do like the The „Spirit Of“ Dice Range and think that it might be doing good checking out Jeremy Tangman’s fundraiser and supporting him. If you get the notification about a new Crowdfunding Collection via Google+ posts: That will soon be over! My Google+ Account will be deleted at April 2. If you like to have be post the Crowdfunding Collection to another place, please message me. I think the best way might be blog comments. You might reply to the post whereever I post it. Google+ reply notifications have gotten unreliable! Indicates that I backed the project. ( ) Indicates that I would have backed the project, have I had more money. The indication is based on the release date and time of the crowdfunding collection and isn’t updated. An RPG about fighting larger than life creatures, and the struggles to survive their world. An all-new tabletop roleplaying game system based in the exciting world of Sentinel Comics! 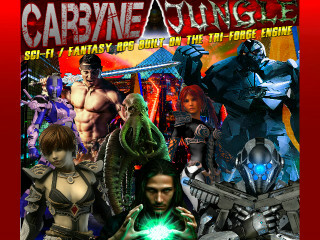 Sci-Fi Fantasy RPG On the Tri-Forge Engine. This is your next tabletop roleplaying game. Dreamrs, we are such stuff as dreams are *Powered* on, and our little life is rounded *by the Apocalypse*. Complete PbtA RPG in a zine. 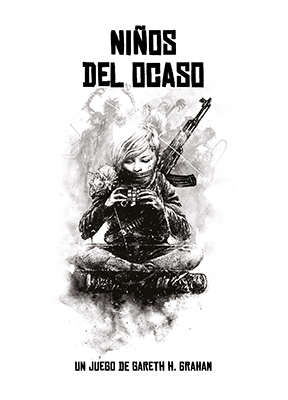 An RPG storytelling zine about a war-torn family and their journey towards reunification. An RPG Zine about the Clunkpunk world of a megalithic Hotel, quirky computer Consoles, and endless wonky adventures. An RPG zine of angels on the run in a fascist dystopia. An easy to pick up and play TTRPG about moving goods along silk road style trade routes through a hazardous and magical world. The first interactive audio adventure based on an original CYOA®* book by Edward Packard for Amazon Alexa and the Google Assistant. An RPG-zine based on encouraging diverse ideas and diverse creators. The focus will be on world building, design, and art. What Happened at Wyvern Rock? Bring High Strangeness to Your High Fantasy RPG Setting. This zine features close encounters, aliens, and other fantastic weirdness! Baroque-Romantic fantasy RPG zines for any system. Strings is a zine metagame and metasystem for TTRPGs that asks the question: what does a character hold onto as death approaches. A collection of 50 small towns ready to drop into any fantasy RPG campaign. An RPG Zine to steal your soul! Zine Quest: The Era Zone! A new and unique zine from the creator of the Era games, which will bring fresh material for all the games to players around the world! A fanzine dedicated to first edition Gamma World and other early science fiction role-playing games. For the Zine Quest KS project. A retro-style collection of articles for and about The Fantasy Trip. An RPG fanzine in the style of the old school fanzines that launched the hobby. A 24-page saddle-stitched zine loaded with ideas for use with most fantasy RPGs. A monster zine for the OSR DnD crowd. 13 new monsters with lots of fluff to read, adventure seeds, paper miniatures and VTT tokens. The third edition of Interface Zero for the Savage Worlds Adventure Edition. A source book for generating angels, relics, and various elements of religions for DCC RPG campaigns. Artifacts, Side Quests, Monsters, a new Divinity, NPCS and now 3d miniatures! The best of all, you can use them in any RPG. 5e to Fate. Discover new creature NPCs and companions with bestowed intellect to spice up your campaign or inspire new characters. Make any playable Dungeons and Dragons race you can imagine with hundreds of racial traits to choose from. Using real mythology & folklore a folklorist & GM will give you new options to play Pathfinder/5e and develop your own worlds. A new expansion to the 1st Edition of the Pathfinder Roleplaying Game printed in a hardcover book. A collection of short 5e adventures featuring the ponderous, oblivious, disastrous (and recently suspended) Professor Humbert Drumsley! The Folio: Digital Quarterly #4 1E/5E adventure module! A digital adventure module in both 5th Edition D&D and classic AD&D formats for 3rd – 5th level characters. Spirits trapped inside a polyhedral Dice set. Which spirit will you choose? After delivering 25,000 coins on our last project to fantastic reviews, Dice Coins returns with more coins for 2019! From the heady days of store flyers and indie zines, Joe was a cartoon hero asking the big questions about tabletop gaming. Help Jeremy Tangman, Get Free Games! Jeremy has run into an another roadblock and is requesting additional assistance. He’s asking for $250 by Saturday (2019-02-02) via Paypal (jeremytangman46 [at] gmail [dot] com). 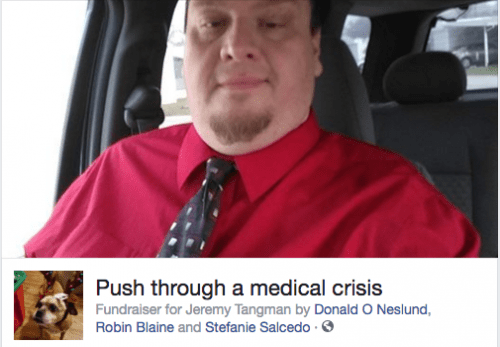 As with the Facebook fundraiser, he’s offering products in exchange for the assistance. A notebook designed to plan and document your tabletop games – works with 5e & any game system. Custom leather covers for rpg/tabletop rulebooks, with engraved illustrations, handpainted details and intricate finishes. Set sail with the Definitive Ship Battle Map pack for Roleplaying. Full size Galleon, tokens, sea monsters, and more. Starship miniature & poster map for Starfinder & other sci-fi RPGs. A sleek bounty hunter on one side – a grungy slaver on the other. Map and art pack 3 years Compilation at 1 price! My greatest art packs and maps compilation to date! Hand-finished prop scrolls suitable for framing or use in tabletop RPGs and LARPs with designs inspired by popular fantasy RPGs. Together we can unite the Tabletop RPG industry under one platform. Unfortunately, we need your assistance with custom website costs. I’m entering the self-publishing ring with my YA Fantasy Fractured Princess! It’s a role-playing (video) game in book form! Help us create reproductions of the classic Steve Jackson Games Pocket Box titles of the eighties. ¿Cómo sobreviven los niños en un mundo en el que los adultos se han vuelto locos? Rôle’n Play est un Actual Play : une retransmission vidéo d’une partie de jeu de rôles, ici sur notre chaine YouTube. Mais avec Rôle’n Play, nous avons eu l’envie de tenter d’aller un peu plus loin, et de faire de ces parties un véritable show, une série que vous pourrez suivre d’épisode en épisode. Pour cela, notre bande d’amis a été choisie à la fois pour les liens qui les unissent, mais aussi pour leurs compétences. Degenesis: RPG Post Punk Apocalittico. Återvänd till Hindenburg i denna fristående fortsättning på Mutant: Undergångens arvtagare och Mutant: År Noll.
) I do try to actually find each and every new project. On the one hand, I do use my Crowdfunding Suchliste (It is essentially a list of links). On the other hand, I do try to keep close tabs on several communities, groups, forums, newsletters etc.
) I do have to rely on readers, project creators or fans pointing out projects to be included in the collection. Because several platforms like Patreon, IndieGoGo, Startnext, and more offer no option to enter a search term and look for the newest started project. The project should be somewhat related to tabletop role-playing. The project should be live and preferably still live when the collection goes up. The project shouldn’t be included in a previous collection. Usually, I am happy with any suggestions. It’s as well a method to make sure I include a project which is out of range for my completist approach. As, for example, I don’t include every convention project or every miniature/terrain/map project. Danke für die gewohnt coole Übersicht!!! First, I love reading your crowdfunding collections, even though I rarely contribute cash to any of them. Cat cat cat catcatcat catting CATS&CATS! Katze katzekatzekatze katze katze katze katze!!! I’ve seen some of the sneak peeks coming out of Realms of Atrothia: Primary Expansion and I am SUPER EXCITED for it! Definitely backed it. Thanks for including them. Give it a look see everyone! It’s gonna be great!